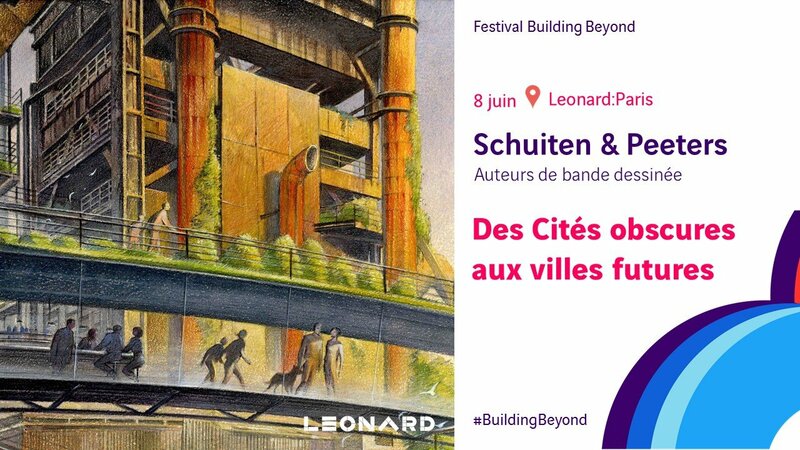 From June 8th to July 19th 2018, Leonard: Paris, the open laboratory for the future of cities and infrastructures created by VINCI, invited people to the “Building Beyond” festival. 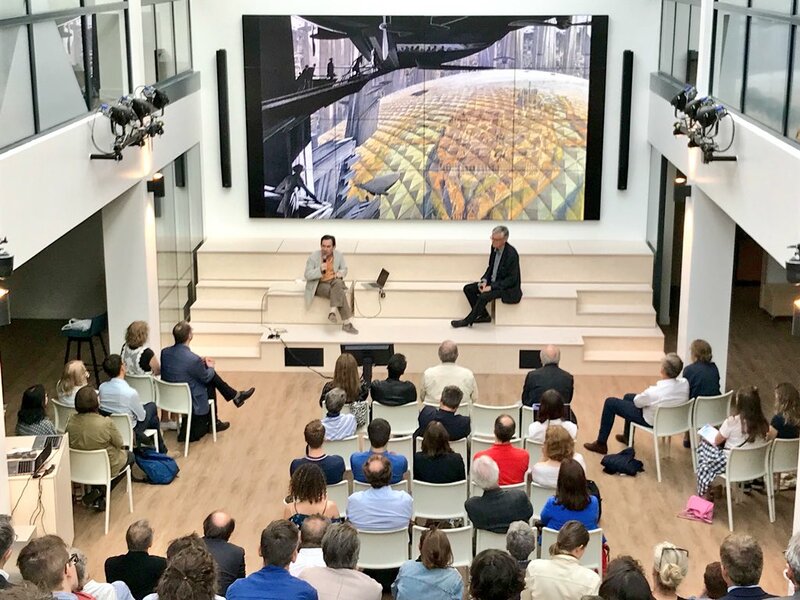 Six weeks of free and open meetings to imagine together the future of cities and infrastructures 1). 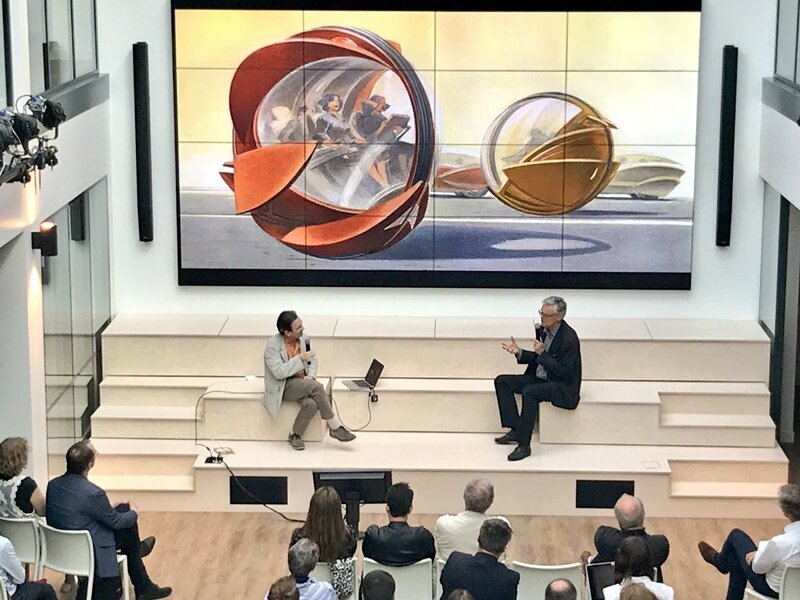 On June 8, 2018 François Schuiten and Benoît Peeters talked about Des Cités obscures aux villes futures. What is the place of the imaginary in the shape of the cities of tomorrow? How do the feats of engineers give rise to new representations? The comic strip has always maintained privileged links with architecture. 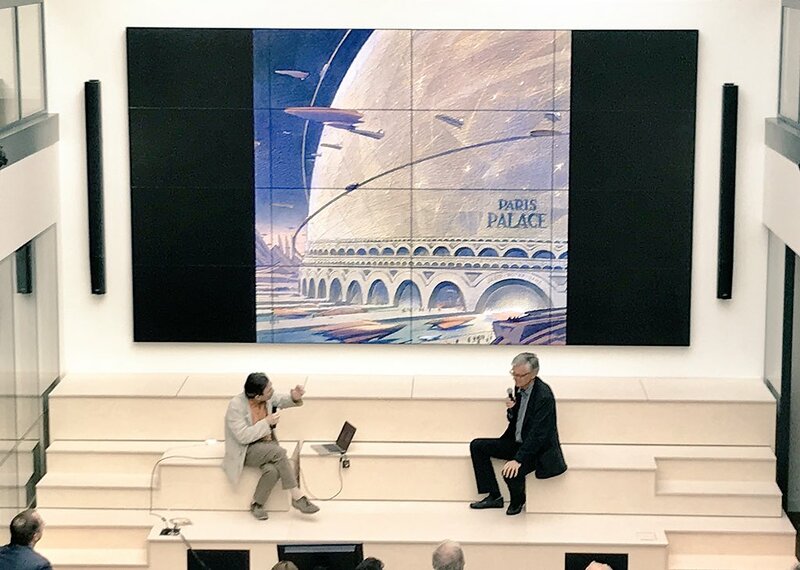 The designer François Schuiten and the writer Benoît Peeters have placed it at the heart of their albums. Playing with the signs of yesterday's modernity, that of Jules Verne, Robida or Le Corbusier, Les Cités obscures and Revoir Paris present a kind of future future in which urban fabrics and temporal strata intertwine. Schuiten & Peeters introduce a playful dimension in the prospective and question the links between engineering and imaginary even in concrete achievements. 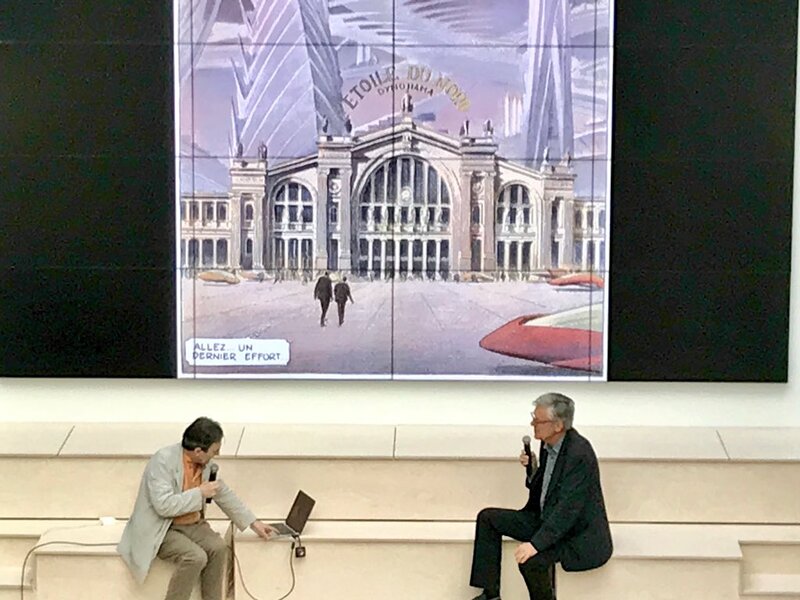 From the Arts et Métiers subway station to the Train World in Brussels, through the Nomadic Roofs and the Industrial Pilgrims, Schuiten and Peeters also design and build real venues. They inaugurate the festival Building Beyond and take us into urban exploration, between real and imaginary, and invite us to push the doors of the possible. Images by Clémence Pène 2), 3), Henry Conseil 4), 5), 6), Pauline Miel 7), Amaury de Buchet 8), 9), Urbanistik 10), Pixelis 11), Lumières de la ville 12) and Leonard 13), 14), 15), 16), 17).